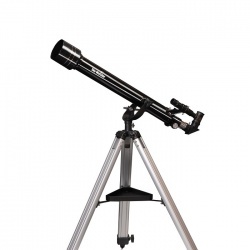 Refractor telescopes were the earliest type of optical telescope and they are also sometimes referred to as a dioptric telescope. 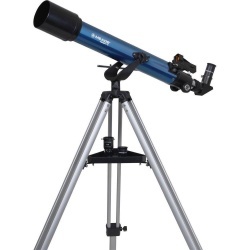 The refracting telescope uses a lens as its objective to form an image and is mainly used as an astronomical telescopes but is also used for long focus camera lenses. All refracting telescopes use the same principles, the combination of an objective lens and an eyepiece which is used to gather more light than the human eye is able to collect on its own, then focus it in a bright and clear magnified image. To calculate a refractor telescopes magnification you divide the focal length of the objective lens by that of the eyepiece. 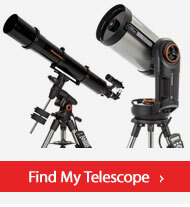 Popular refractor models include the Celestron Powerseeker range of telescopes. 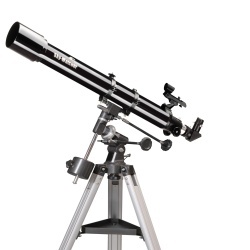 A refracting telescope uses a lens to collect and focus light to present a magnified image at the eyepiece. 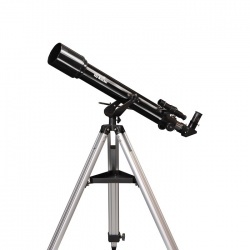 You can shop online for refractor telescopes at PicStop and choose from our brilliant range of Celestron refractor telescopes. 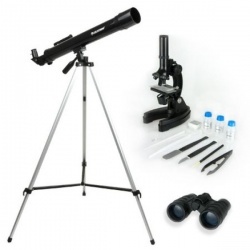 As with our reflecting range we stock a collection of refracting telescopes that are suitable for a range of skill levels. 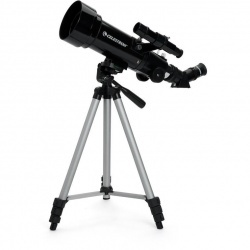 From ideal models for the beginner to top of the range models suitable for astrophotography you can find all you need here at PicStop. 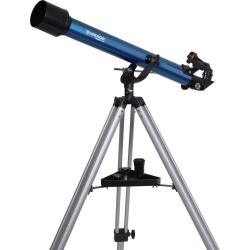 Our team will be happy to answer any questions and help you choose the right refractor telescope.